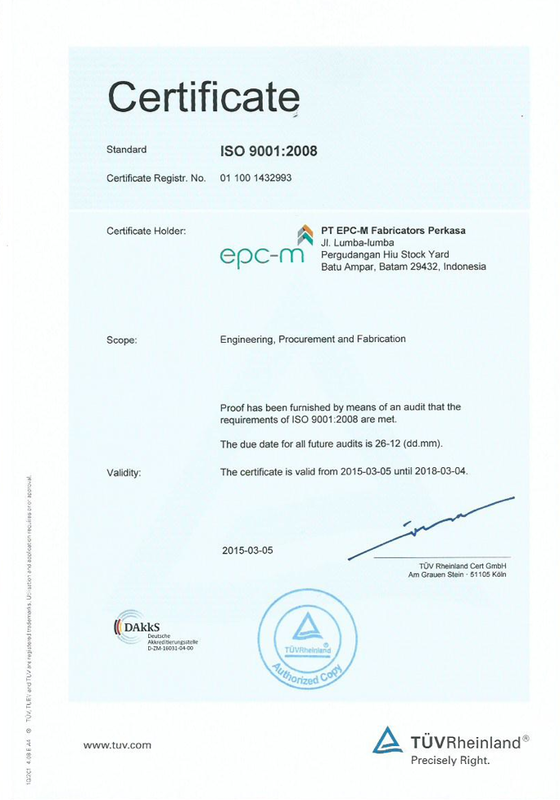 EPC-M Group places great importance on and takes responsibility for the Health and Safety of its employees. We act in accordance with the applicable statutory and international standards regarding Environmental protection, and seek to conduct fabrication of oil and gas equipment in manners that avoid harm, injuries and accidents to our employees and the environment. It is EPC-M Group’ policy that every employee and personnel working with us appreciates and complies with our HSE policy.